Want to be a part of the heart and soul of our home court advantage? Join the @BoilerBlock Party today! For $10 a Purdue student could purchase season tickets for all of the Boilermakers home matches in the Holloway Gymnasium on the campus in West Lafayette, Indiana. Normally student ticket prices are $3 (if bought prior to game day) or $5 (bought on game day) per match. With 18 home matches scheduled, tickets for a student with the Block Party would be 55 cents a match (not including the purchase of the Purdue Boarding Pass mentioned below). Plus if you look a the schedule of teams that Purdue will have in Holloway Gymnasium this season, Notre Dame (in-state rival), Louisville, Illinois, Wisconsin, Penn State, Ohio State, Michigan State, Indiana (in-state rival), Nebraska and Iowa, that is an incredible bargain for the volleyball fan or even a night out on campus. The Block Party purchase also includes a limited t-shirt as well. Which can be seen in the following video from last year’s Block Party. 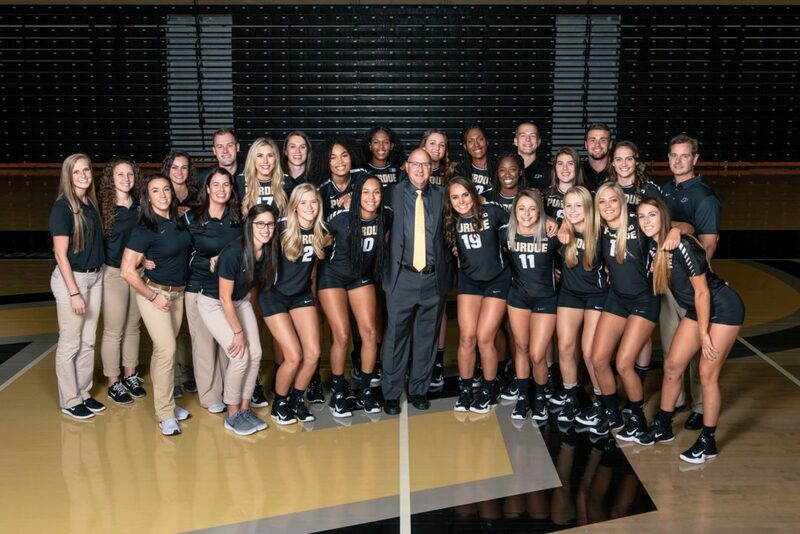 With Purdue University season tickets in general, students pay $99 for the Boarding Pass, which provides them with tickets to every football home game and the ability to request or claim volleyball tickets. The $10 Block Party package is in addition to the Boarding Pass. The Boilermakers last season ranked 15th in season attendance for home matches with an average of 2,383, which is more than the capacity of the Holloway Gymnasium of 2,288. So if you are part of the Block Party you are about 8.7% percent of the capacity on a nightly basis. Purdue last season had a 11-4 record at the Holloway Gymnasium.